We all know the importance of using sunscreen. Dr. Verebelyi recommends protecting your skin daily with Tizo3. 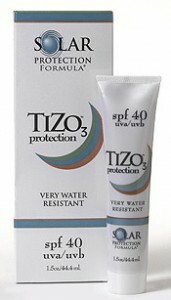 Tizo3, SPF 40 is a tinted sunscreen uniquely formulated to offer sheer, elegant protection with a silky, smooth, matte finish. Tizo3 offers unparalleled aesthetic elegance, while providing superb photo-protective performance. This product is paraben, oil and fragrance free and specially formulated without UV absorbing chemicals to offer unsurpassed, irritant free UVA/ UVB light protection. Try Tizo3 tinted sunscreen today.